Nephrology Business Leadership University – A Fellow's Review. In any academic fellowship, fellows receive excellent clinical training. However, the business aspect of practice often gets less attention. Before you know it you are scrambling to understand contracts, negotiate for a job, figure out billing/coding/reimbursement, understand market trends/growth, and figure out how to market your practice. Nephrology Business Leadership University or NBLU, aims to fill in this gap with a comprehensive 5-day course on understanding the business of Nephrology. During our five days at NBLU, we learned the basics of insurance, 'red flags' of practices, the future of reimbursements, different practice environments (ie. academic, private, rural) and how to effectively interview/network among a variety of business related topics. Fellows were broken up into small groups and learned concepts in a variety of different teaching environments utilizing multiple interactive tools. In our small groups, we were assigned to a city and came up with a practice name as well as a mission statement. We were provided with an interactive map of our practice area and assessed growth rates to determine where we would open a clinic, which hospitals and dialysis units we planned to affiliate with. By far our favorite session was on billing/coding. This was an interactive session in which fellows were taught to 'think like a coder'; where we critiqued and assigned a level notes of other physicians. By the end of NBLU, we were both feeling much more at ease about transitioning from fellowship to practice. I am ready to begin interviewing to find a practice that fits my needs. We highly recommend this conference to all freshly minted 2nd year Nephrology fellows interested in learning more about business and Nephrology. However, the best part of NBLU is meeting and interacting with fellows from all over the country. We gained so much knowledge and now future friends and colleagues. How could you miss this opportunity? It is so much different than a brief meeting at Kidney Week or NKF as this is a 5 day immersion. Each day the average American creates 1 mEq/kg of acid which needs buffering. Most of the acid comes from protein. Our kidneys normally do all the buffering through 2 main systems – titratable and non-titratable acids Titratable acids (phosphates and sulfates) are relatively fixed in buffering capacity. Non-tritatable acids (ammonium – NH4+) does vary appropriately in patients having normally functioning kidneys. Thus, we adjust our buffering using ammonium. If we cannot produce enough ammonium, then we develop a normal gap metabolic acidosis. Understanding the physiology of ammonium excretion helps us understand the possible problems. in the proximal tubular cells, glutamine converts to alpha ketoglutarate to produce NH3 (ammonia). 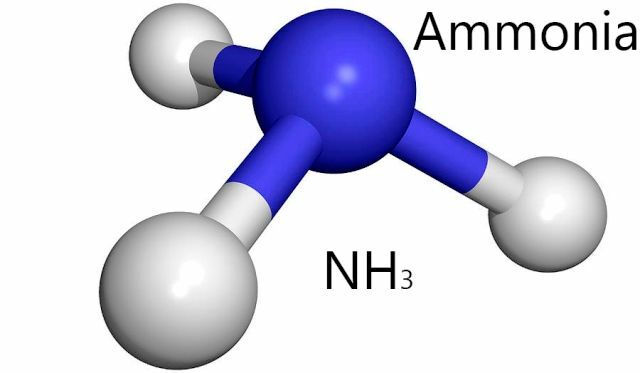 Ammonia goes into the tubule and converts to NH4+. Thus, as patients lose proximal tubular cells they may lose buffering capacity because they cannot make enough ammonia. in the ascending limb of the loop of Henle, NH4+ goes into the intersitium by means of the sodium potassium 2 chloride cotransporter (this is the site which loop diuretics block). The NH4+ then converts back to NH3 and becomes part of the countercurrent multiplier system. Thus the medullary part of the kidney has very high concentrations of NH3. in the distal tubule, we acidify the urine. Here NH3 diffuses into the distal tubule, converts back to NH4+, creating the desired buffer effect. Renal acidosis (normal gap) can occur for 3 major reasons. Type IV RTA – this one is interesting. The problem in type IV RTA is primarily hyperkalemia (most commonly called hyporenin/hypoaldo). Increased potassium levels inhibit the enzyme glutaminase which is responsible for the production of ammonia. Thus if we correct the hyperkalemia, we usually resolve the acidosis. The acidosis of CKD – two problems for these patients – decreased production of ammonia and decreased concentration in the medulla. As CKD worsens, the countercurrent mechanism does not function as efficiently, decreasing the concentrations of solutes in the medulla. Thus, less ammonia is available to enter the distal tubule for buffering. I hope these explanations make sense. 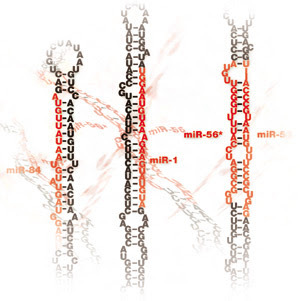 MicroRNAs: one of the sexiest topics in the science community these days! Pick up a copy of Science, Nature, or Cell and you can usually find something to do with microRNAs within. What do these have to do with the kidney? Well, it's still a little premature, but there are certainly microRNAs present in the kidney, and recent studies have demonstrated that specific microRNAs are upregulated in conditions such as polycystic kidney disease and renal cell carcinomas, for instance. How microRNAs work: microRNAs are single-stranded RNA molecules of between 21-23 nucleotides in length which are partially complementary to regions in multiple mRNAs. Once they bind to these mRNAs, the microRNAs either inhibit translation or completely degrade their target RNAs. A specific enzymatic machinery--comprised of the proteins Dicer and the RISC complex--is responsible for inhibiting mRNAs via microRNAs. In essence, the power of microRNAs are that a single microRNA can regulate the expression of multiple genes working in parallel to achieve a similar biologic effect. This technology is of particular use to the pharmaceutical industry: one can envision targeting a particular microRNA which inhibit several pathways to prevent a disease process, such as atherosclerosis, renal fibrosis, or cyst formation to think of a few possibilities. The field is still very new. I wouldn't be surprised if a future Nobel Prize came out of this work. Three scientists (Drs. Ruvkun, Baulcombe, and Ambros) working on microRNAs recently won the 2008 Lasker Prize--considered by many to be the "precursor" prize to the Nobel. 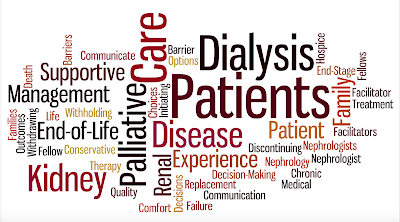 Duke University School of Medicine is seeking to understand barriers and facilitators to palliative care conversations between nephrology fellows and their patients. The study, funded by the Agency for Healthcare Research and Quality, is led by Jennifer St. Clair Russell, PhD, MSEd, MCHES, a social and behavioral scientist in the Division of General Internal Medicine with over 11 years of experience in nephrology. If you are eligible to participate in our online focus group (on September 28), you will be compensated for your study participation. It is estimated that the online focus group will only take approximately 120 minutes. We would be honored to have you participate in this exciting research! To learn more or complete the eligibility questionnaire, please contact Nikita Shah at Nikita.Shah@duke.edu. 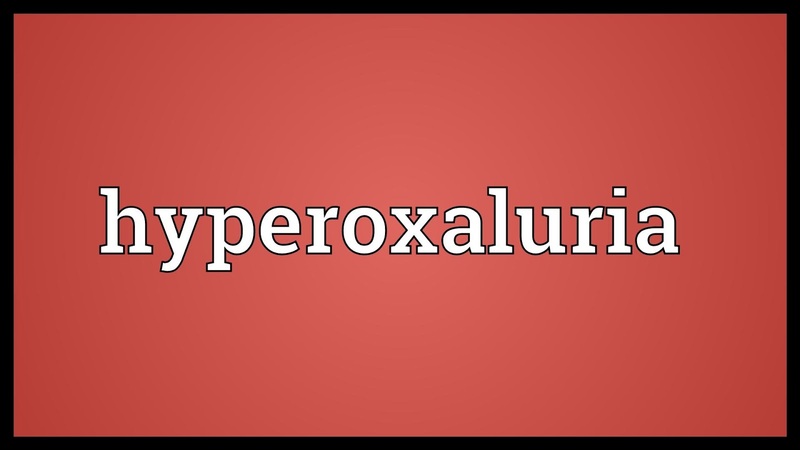 Primary hyperoxalurias are a group of autosomal recessive disorders characterized by excess hepatic oxalate production and reduced kidney excretion. Variable in presentation and severity, its true prevalence is likely underestimated. While it can occur at any age, the median age of onset is 5.5 years. In Europe, it has an estimated prevalence of 1-3 cases per 1 million, incidence of 1 case per 120,000 live births and account for 1-2% of pediatric ESKD Unfortunately 20-50% of patients have advanced CKD at diagnosis and 10% are diagnosed only after disease recurrence following transplantation. Excreted almost entirely by the kidney, oxalate can cause kidney tubular toxicity, nephrocalcinosis and obstruction with superimposed infection. In type 1 primary hyperoxaluria as eGFR falls below 30, plasma oxalate rises resulting in oxalate deposition in various organs including the kidney, heart, joints, retina, skin, bone marrow, heart and CNS. Given its rarity, clinical suspicion is required for diagnosis. Definitive diagnosis requires genetic testing. Clinically it presents with urolithiasis (greater than 95% calcium oxalate monohydrate), recurrent UTIs, metabolic acidosis, acute kidney failure or oxalate crystals on kidney biopsy. Labs can be notable for persistently elevated urine oxalate, serum L-glycerate or serum oxalate. For persons with a family history, prenatal diagnosis can be obtained through genetic screening in the first trimester. Conservative treatment strategies should be employed early and include aggressive hydration and potassium citrate to inhibit crystallization. 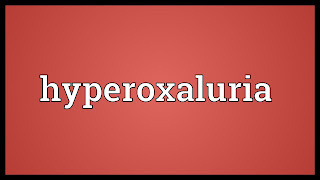 Pyridoxine supplementation can be used for primary hyperoxaluria type 1 Gly170Arg and Phe152Ile genotypes. Intestinal oxalate has limited effects on disease progression as oxalate is largely produced endogenously and studies using oxalate-metabolizing probiotics like Oxalobacter formigenes have been disappointing. In primary hyperoxaluria type 1 conventional HD and PD are ineffective at removing sufficient levels of oxalate for patients with ESKD due to ongoing liver production. While the ultimate management is transplantation, dialysis may be required as a temporary therapy to reduce plasma oxalate levels. 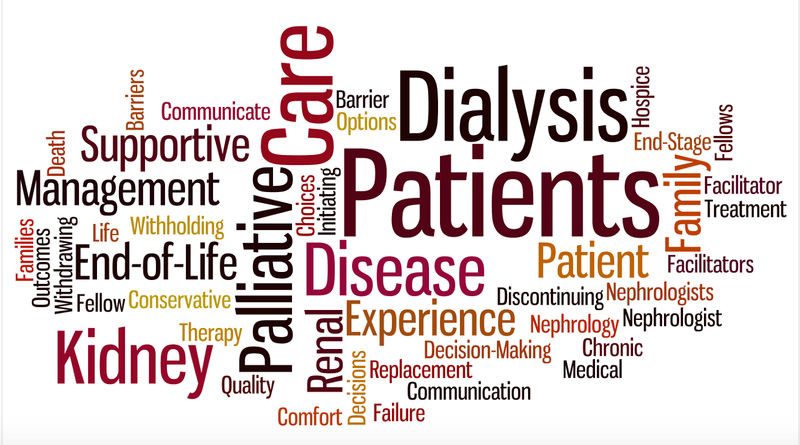 Strategies include short daily sessions of high-flux dialysis, nocturnal dialysis, or combinations of hemodialysis and nocturnal peritoneal dialysis. Isolated liver transplantation corrects the enzyme defect and can be used in early stages of kidney disease. Isolated kidney transplantation can reduced plasma oxalate, but disease recurrence often leads to poor graft survival. Dual liver-kidney transplantation is thus commonly performed for patients with CKD stage 4. Limited data exists for organ transplantation in primary hyperoxaluria type 2 and type 3 has not yet been associated with ESKD. 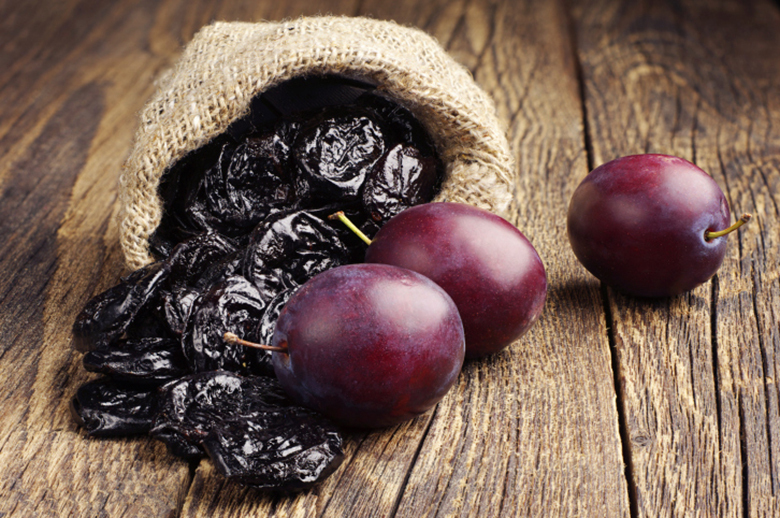 Prune Belly Syndrome (PBS) is a very rare (3.8/100,000 live births) congenital disease that predominantly affects males. Termed prune belly due to the wrinkled appearance of the abdominal wall at birth, it is a multisystem disease that can affect the genitourinary tract, cardiopulmonary, GI and musculoskeletal systems. Some studies and the inheritance pattern suggest that the disease is due to a recessive X-linked defect. However, other studies have demonstrated a deletion in the the hepatocyte nuclear factor 1 beta (HFN1B) gene on chromosome 17q12 resulting in defective mesenchymal development, thus suggesting autosomal dominant inheritance. A clear genetic basis for PBS has not yet been established. As per Seidal et al., nearly one-half of patients surviving infancy will develop CKD and nearly one third will develop ESRD and require RRT. This is thought to occur largely due to incomplete nephron differentiation, dilation of tubules, interstitial fibrosis and eventual glomerulosclerosis. Clinically PBS can be associated with reflux nephropathy and recurrent pyelonephritis. Often diagnosed at birth or in early childhood, PBS can be diagnosed by antenatal ultrasound between weeks 20-30 with features including hydroureteronephrosis with or without echodense kidney parenchyma, oligohydramnios, hypoplastic lungs and bulging abdomen. Therapy in childhood remains controversial, but can require early surgery for urine drainage in order to prevent recurrent infections or antibiotic prophylaxis. Maintenance CAPD and HD are equally effective in the management of ESKD and kidney transplantation has been successfully performed with excellent long-term prognosis. If you are eligible to participate in one of our two online focus groups (either September 17 or September 28, 2017), you will be compensated for your study participation. It is estimated that the online focus group will only take approximately 120 minutes. I first discovered the Origins of Renal Physiology course on Renal Fellow Network as a medicine intern, and ever since that time, dreamt of going to the course as a renal fellow. Nate’s picture in front of the “Kidney Shed” was seared in my mind. The dream finally came true two weeks ago when I set foot on the Mount Desert Island Biological Lab (MDIBL) in Coastal Maine, and the first place I visited was indeed the Kidney Shed. In his opening address to the fellows attending the course, Dr. Ziedel rightly said “Physiology is the pride of Nephrology”. He went on to mention the names of several luminaries who have worked at the MDIBL leading to many important discoveries. The lab has been a cornerstone of nephrology research and has been a home for the work of Homer Smith, E.K Marshall, David Evans, Franklin Epstein, and many others who have spent years working on and elucidating the fundamental concepts on kidney physiology. In modern day practice of nephrology, we are less exposed to these fundamentals of kidney physiology that initially piqued our interest in nephrology. 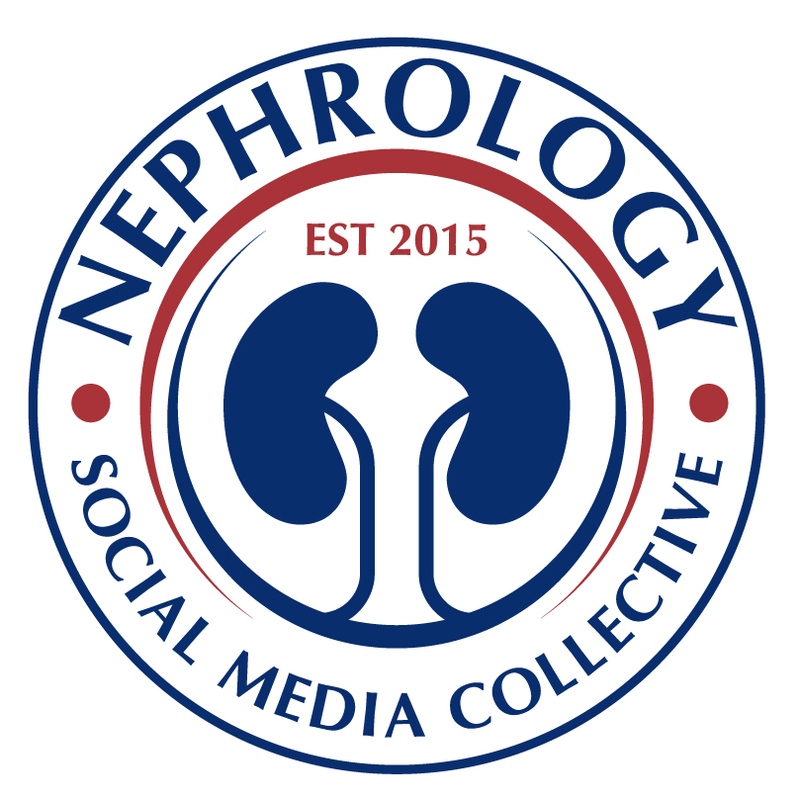 The Origins course is one of the many efforts made by the renal community to reconnect nephrolgoy fellows to physiology. It’s a very unique course which gives the fellows an opportunity to rub elbows with senior and distinguished renal physiologists from esteemed institutions and work with them on experiments to understand the different aspects of kidney biology. The course consisted of 7 modules, each focusing on a functional unit of the nephron- the glomerulus, proximal tubule, thick ascending limb, distal tubule, acid-base, water homeostasis, and chloride secretion. We studied animals like zebrafish, turtles, and toad bladders. We also explored how ENaC and NKCC channels work. We delved into discussion about morpholinos and so much more. 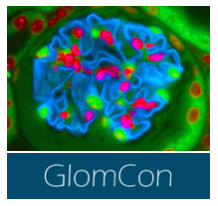 Over the duration of the course, we developed a new-found appreciation for the beauty and wonder of exploring how the kidney regulates homeostasis. We also got a sense for the profound impact MDIBL has had on the field of nephrology and physiology. As MDIBL is in such close proximity to Acadia National Park- one of the most beautiful national parks in the world, nature is inherently embedded in the process of learning here. Most days started off with a refreshing early morning short hike which energized us to spend the entire day in the lab. On alternate days, amazing outdoor activities were planned for us after presentations of the earlier day’s work. My week at the MDIBL during this course was very memorable. I was honored to be working closely with great mentors and met nephrology fellows from all over the US and abroad, shared interests and future aspirations and found new friends. All in all, an incredible experience! I would wholeheartedly endorse this conference for future fellows. 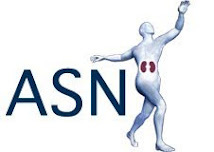 September Wash U Nephrology Webisode available - an unusual case of AKI! "73 year old Caucasian female with hypertension, remote history of breast cancer, and NSAID use, presents with incidental AKI"